What an awesome giveaway! I have a blog because I love talking about books, but got tired of the blank stares from my friends. I read blogs because I enjoy the interaction with other readers. I read book blogs in order to find out about new books, new genres and new trends. I also like to read someone else's opinion on a book I have read. Congrats on reaching 400 followers! And thanks for making this international. I blog and read other blogs because reading is my all time favourite thing to do. I love books, and sharing that with others - I don't know, it just makes me happy. And reading other blogs where so many other people are like me...it makes me feel better I guess, knowing that I'm not alone in being completely book crazy and obsessed :P.
I read blogs to get more insight into books, food, photography, well everything really. Other people's opinions do matter and I seek them out. Thank you for this! wow! Congrats on getting (over) 400 followers! woohoo! I follow blogs because I get to find awesome new books and read awesome things about awesome people. Not in a creepy way, of course. I blog because I want to broaden my mind and just because I don't really have friends to talk about books I love to read. And the best thing is, I know loads of books that's need to be read, thousands of friends that don't judge me, I can even say hi to authors that I don't even read their books yet, so many fun things to participate and the list could go on. One crucial fact is, I love to blog and read blogs. And yes, I have chance to enter so many great giveaways like yours even I know that it will be a slim chance to win. LOL. But really, thanks for hosting the giveaway and I am swooning for the prizes! Congratulations for hitting 400+. Hope you'll have more! i guess for the same reason you do; its awesome to have all these like-minded people within reach. I blog for the community. I love having in-depth book discussions that I can't have with anyone else. Another great thing that I didn't really expect is finding out about a lot of amazing books that I never would have read had it not been for blogging, reading book blogs, and participating in reading challenges. I read blogs to find out about new books and authors and to get recommendations. I read blogs because the good people that run these blogs-such as yourself- know about new books before people in the general public. If I didn't come here, I wouldn't be able to fulfil my insatiable desire for books, books, books! I started blogging originally as a way to have an online writing journal, and over time it morphed into a blog dedicated to dark fiction in books, film, and my own. 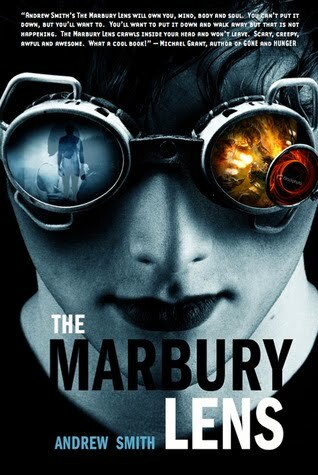 Side-note: That book, Marbury Lens, looks cool as heck. I'll have to put that on the wish list if I don't wind up the lucky winner. I am in love with this giveaway. I love blogging because it gives me a reason to talk about things I love. I like reading blogs because I find so many amazing things!! And it's fun to be part of a community. I blog and read book blogs because I am a teacher and want to stay abreast of what's being read and discussed. I started this adventure to model online book-ish habits for my students, but this has turned into so much more! I'm officially addicted and loving it! I like to blog and read other's blogs because I love books. It's cliche, but it's true. I love finding out about new books, I love shiny covers, and I love getting good book recomendations. Congratulations! :D I read blogs to discover new books, new recipes and sometime it happens to make new friends! It's just amazing! I blog and read blogs to connect with people that love reading as much as I do. Finding authors to network with was an unexpected treat. I would be so lost without my online friends. A. Congrats :) You rock and definitely deserve it. C. I was a blog following maniac before I became a blogger. I just love reading people's thoughts about something we share in common. I read blogs mostly to keep up with new book news. For various reasons, I pretty much stopped reading except for school a few years ago, and I just started reading for fun again the past few months. Blogs have been a fun and easy way for me to catch up on the things I've missed and find exciting new things to read. yay for things that happen in the dark hours of the night. and yay for 400+ followers! and also, this give-away is pretty HUGE! Especially for internationals - whoo hoo! i read blogs b/c some amuse me and others keep me going on what books are all the buzz and others have great taste and recommend hidden books i wouldnt have noticed. Thanks for the great contest and congrats on 400 followers! I have a blog because, basically, I make my friends read books all the time. I am a total book pusher, so I thought why not book push online as well. I read blogs to build a community and add books to my every growing to-be-read shelf! holy cow batman - now this is a contest. A gift card to book depository - thats several months allowance! I like book blogs because I find out new books that I would otherwise not look at. I read blogs because I love books. It's as simple as that. Bloggers provide all the newest updates on the newest books, reviews and their opinions, and fun, interactive posts. Although I don't always have time to comment on every blog I go to, I do enjoy reading the posts because they're very interesting and I love how bloggers take the time to write a blog for others' benefit. Congrats on the followers and thanks for the giveaway! Thanks for the chance to win such a generous giveaway! I love the book depository so I love when contests include them. I like book blogs because I find out about new books and the comment section provides a forum to discuss the book reviewed or the literary issue brought up. Though I don't "blog" per se, I write reviews of books on places like Goodreads. Authors pack spend so much time crafting their stories that sometimes, there's even more to talk about. Although it's not one of my favorite works, James Joyce's Dubliners contained stories that entire books have been written on. I love that the internet provides a way for everyday readers to share their thoughts, opinions, and emotions that books evoke. GREAT contest! Thanks so much! I read book blogs because I like to read the reviews. I like hearing other's points of view on books before I buy them, especially if I'm iffy about one. Also, obviously, contests are cool. Congrats on 400 followers! I don't have my own blog but I love reading others because I just love books! I find so many new and interesting books and authors through blogs. Thanks for the giveaway! I have a book blog because I happened to stumble across one and think, "Hey, that looks like fun and like something I could do." And that was that. I started one. I already wrote these small reviews of books I read and was keeping them in a composition notebook. Granted my reviews are way better now than they used to be but I really just love knowing that people actually care what I think. Plus I get to talk to so many awesome people about one of the things I love most. Books. Congrats on hitting 400 followers and thanks for the contest! I have a book blog because I have a passion for reading and want to share it with the world. I love writing up book reviews and reading comments on what people think of my opinion. It makes me feel heard. I blog for the community and to share my love of books. I read blogs so I can keep up to date with people I've grown to know through their blogs and what they're enjoying reading as of late. Thanks for the great giveaway and I wish you many more followers to read your lovely blog. And duh.. email address - sorry! I have a blog mainly because I like writing, and also because I like sharing my thoughts and connecting with people. Congrats on hitting 400! Thanks for the awesome contest too! I have a blog because I love to read and give my opinions about those books....Also I discovered it's a great way to make friends with the same interests as you. I don't have a blog because I live in a rural area and getting broadband access is very difficult. I read blog for a number of reasons. I find new authors that way. And of course I love to enter contest and win books ! This is really a grand giveaway. I could probably get 4 or 5 books for $40 ! Congrats on all the followers and thanks for such a fabulous prize! I have a blog so I can share my book reviews and to help introduce people to books I love! I also like reading blogs to find new books and authors. Initially, I blogged because nobody around me would like to hear me ranting about books that I loved. In fact, no one surrounding me likes to talk about books - at all. So, I thought that keeping a blog gives me a channel to pour my thoughts on something that I truly loved while at the same time, helping me improve my English (well, hopefully!). Little did I know that after months of blogging, I meet numbers of remarkable friends and for the first time I know how easy it is to be in touch with authors. I feel that I fit in this community and I know I won't be leaving anytime soon! Congratulations on hitting the magical 400 numbers, Cecelia. I am pretty sure that there are TONNES more to come after this! Congratulations on 400 followers and thanks for the awesome contest! I read blogs to find out about great books. I blog because I like sharing my love of books with others. I read blogs mostly to read book reviews and generally find out about new, interesting books. It's also fun to read the thoughts of people who enjoy reading, since most people I know don't much care about books.. I Read blogs to find out about books that are coming out, Reviews of books and good books in general:D AWSOME CONTEST! Congrats on the followers, you deserve them all! I started blogging before I really read blogs, I had a friend who started doing it and because she seemed to be having so much fun I decided to give it a try as well. I haven't looked back. What keeps me blogging is wonderful bloggers like you who inspire me every day to keep blogging and reading. I have a blog to spread my love for books! I read blogs to find the latest new releases, and what other good books I can bury my nose in. I read blogs because they're funny or useful or interesting or helpful (depending on the type of blog!). I like book blogs, especially ones with lots of reviews, because I like to read a few non-spoilery reviews before I buy a book myself! I blog and read blogs because it is one way to express my creativity and connect with others. I read blogs because it inspires me to be more creative, or to not be a wuss. That sounded really cheesy, but it's true! Without Pioneer Woman, I wouldn't have found a perfect chocolate cake recipe that I can change to be half fat. Without 1000 Awesome Things, I wouldn't remind myself to enjoy something every day. Without this blog, I wouldn't have books to add to my reading list, or peanut butter cup toffee chunk cookies to drool over. Without blogs, I am a bit more bored and boring. Thanks for the contest and congrats on the followers! I blog as a way to keep track of the books I read. Well, that was the original reason but now I do it because I love it! I love making my blog "look pretty" by updating it daily. It is my hobby. I have a blog because I love to read, and I thought it would make sense to share my opinions with others. 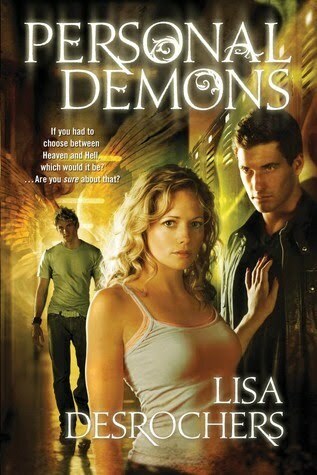 I started reading book blogs so I could keep up with what books were getting good reviews and what books were dnf's. I continued because I not only found out about great reads but also because I loved being part of a community of readers. I've found it more and more difficult to discover anyone who even reads books in my "off-line" life. Thanks for the great giveaway and congrats! Thanks so much for this, it's awesome! I blog because if I didn't I would probably lose my mind :P It's so awesome having a whole hoard of book lovers to turn to! I have a blog because I want to express my love of books and share my thoughts and opinions with others. I love to read the blogs to find out about new books and authors. I blog because I just love being able to discuss books with others and find new friends who love reading just as much as I do, and I read other blogs because I love finding out about new (and amazing!) books that I didn't know about prior. I started blogging because everyone around started rolling their eyes when I stared gabbing about my books. I love sharing my finds and discovering new ones. I originally started reading blogs just to see what other bloggers did. Then I got addicted to them. I love to find out which books are hot! Congrats on reaching a milestone. And thanks for the great contest. Wow, great prize! Congratulations on 400 followers, too! I am a follower. I don't have a blog, but I'm always visiting book blogs every day. I like to find out about books I would have never heard of otherwise. Plus, none of the people I know read books, so it's nice to go online and see there are lots of people out there that love books like I do. Thanks for hosting the giveaway! I have a blog because I love to read and I enjoy talking about books with other people who love them too. It has been a lot of fun! I have a blog because I like to write about what I read, and I follow blogs because I want to find new stuff to read and see what others thought. Well, first I want to tell you that design of this blog really rox. Book bloggers (and Goodreads) provide just what I need - new fantastic books to read. If it weren't for you guys I would never pick up and fall in love with Unwind by Neal Shusterman or The Mortal Instruments by Cassandra Clare, because I wouldn't even know this books exist. Sad but true :) So thank you! Really! I blog because I need a creative writing outlet and blogging is it! I love reading blogs because it lets me know what is current with my fav topics / people. I read blogs to find out about books and products before I buy them for myself. I read blogs because they are more fun than newspapers or traditional sources for news and I love your writing style and trust bloggers to keep me informed! I'm a follower of course! I read blogs because I find them interesting and enjoy finding out what other people think. I love book blogs because I love to read book reviews and I find so many great books I would have never known about. There are so many great book blogs out their and I keep adding to my list :) Great giveaway thank you! I blog and read blogs because it's always such a great feeling to be able to share and connect with others who are passionate about books. It's also wonderful when I find out about a new book or share something I can't wait to read with someone else. Those are the main reasons why I blog and love doing it. I love to read blogs -especially book blogs since I can get tons of recommendations of GREAT books, not to mention reviews! why does anyone? (read book blogs) because they're about books and books are my life. I honestly cannot imagine myself with my nose not stuck in the pages of a book in my spare time. I read because I love to, because reading and writing about the experience of reading are my way of life. Thanks you so much for the awesome contest i am dying in suspence to read them great idea i enjoy reading those blogs because i am facinated, enjoy and intrigued by people opinions and recomendations when reading i am interested in trying new things and experiances i enjoy meeting new characters when reading it's like i'm in another exciting alternate world. It has two things i enjoy books and reviews i need advice to read new series because i finish many. Well, I enjoy reading blogs because it's fascinating seeing so many creative, talented people and learning from their ideas & input. I have a blog because I like to show others my thoughts on what I've read and what they have meant to me...and hopefully some else might like to read the book too. I also read other peoples blogs to find out more about other books that I might look into myself. I like to read other bloggers reviews because they're honest and come from normal-book-loving-people. I love blogs because you get an unbiased opinion about something you normally wouldn't hear from the PR and Marketing departments (for the most part). I occasionally blog because it's a great way to rant without actually going at it face to face with someone. I'm kind of addicted to book review sites. I think part of the reason I love them so much is the sense of community it gives me, of people who like the same kind of books I do. I also love being able to discover books I never would have on my own. Nowadays I also use them to filter the super amazing amount of books out there so that I can focus on books I'll most likely like, rather than have to read through books I won't. Great giveaway and congrats on all the followers. I blog, because I love to read and enjoy telling people about the books that I read. I read blogs and run a blog because none of my friends are obsessed with books as I am and I find I need an outlet to network and discuss them with others who are as passionate as I am! I follow and read blogs to find new books, by reading reviews or through contests, which is another reason I read them. Who doesn't love free stuff :) I also follow some to hear about what authors are up to. Thanks for having the contest, you're gonna make one winner a very happy individual! I read blogs because the common person is filled with so many interesting ideas. I love to read blogs to get a glimpse of others' thoughts and feelings. It definitely makes me a more empathetic person. I blog because I hope the things I've gone through will somehow help someone else. Plus, it's good to get it all down in writing! I have a blog because I love reviewing books and reading reviews. I also have a Archaeology blog which I love doing because I learn something new everyday! I read blogs because I want to find out more about books, and read reviews of books I'm interested in. Or sometimes there's the time when I just read them for a laugh because the blogger is hilarious. I keep a blog mostly to record my thoughts on books which i'd love to share with others! I like to follow book blogs because I love to read adn it is the best way to find out about new books. I read blogs to keep up with peoples views on the latest books. Then I started my own but time didn't allow me to keep it updated as much as possible but I still find the time here and there to scope out new blogs and take in the latest book reviews. I like blogs because I find so much interesting information that i can't find anywhere else. I like reading op-ed pieces! Follower via GFC, and I read blogs for a variety of reasons. I enjoy some of the quick glimpses of life from the various posters, I read most of the reviews of books since I am an avid reader, and some of the reviews of goods. The giveaways are a nice bonus, and I have been introduced to several very nice companies that way. I read blogs because I like to find out other people's opinions about books so I can better decide if I want to read a particular book and if it's worth buying. I also like to read blogs to become aware of new books that are coming out that I probably wouldn't have heard of otherwise. Well I read blogs because I get to hear what people think about certain books or what the latest book buzz is, there are also a lot of fun people to talk to and most of us are addicted to twitter. I write on my blog because I like to have an outlet for my book madness or if I want to write down a review. I just started blogging, so hopefully I can expand and learn more as I go. Great giveaway! Congrats on the followers! I read blogs because they're interesting and informative. You get to learn a lot about people and the world. I just made a blog not too long ago because my husband's in a Navy and in a month I'll be moving to Hawaii. I figured a blog would be the best way to let people know what I'm up to!